Text: Toru WadaThe beautiful museum is located in the Villa Berower estate, Riehen of Basel (about 20 minutes by tram from the city centre). Designed by Renzo Piano (one of the architects of Centre Pompidou, Paris), the building integrates the idea of nature, art, and landscape. The combination of the red walls, a water lily pond, and Giacometti’s sculpture is very unique yet very harmonious. Because of this setting, you can enjoy not only the inside of the museum but also the outside – it invites you to linger the garden area. There is also a restaurant in a late-baroque building where you can enjoy fresh food. It states that their focus is visitors’personal and sensory experiences in encountering art and nature. Their collection includes works from some of the world’s finest artists – Vincent van Gogh, Picasso, Wassily Kandinsky, Henri Matisse, Paul Klee, to name just a few. 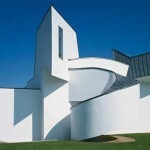 The museum also holds special exhibitions which feature acclaimed artists from around the world. 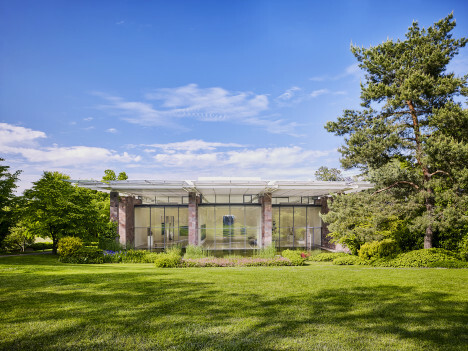 The Fondation Beyeler has made a tremendous contribution to the Basel region – not only the art scene but also the people’s lives there – the city now welcomes visitors not only nationally but internationally. It is confirmed that the museum is planning to expand, and we cannot wait to see what they will bring us next.